Hear ye, hear ye Pokemon Go fanatics! 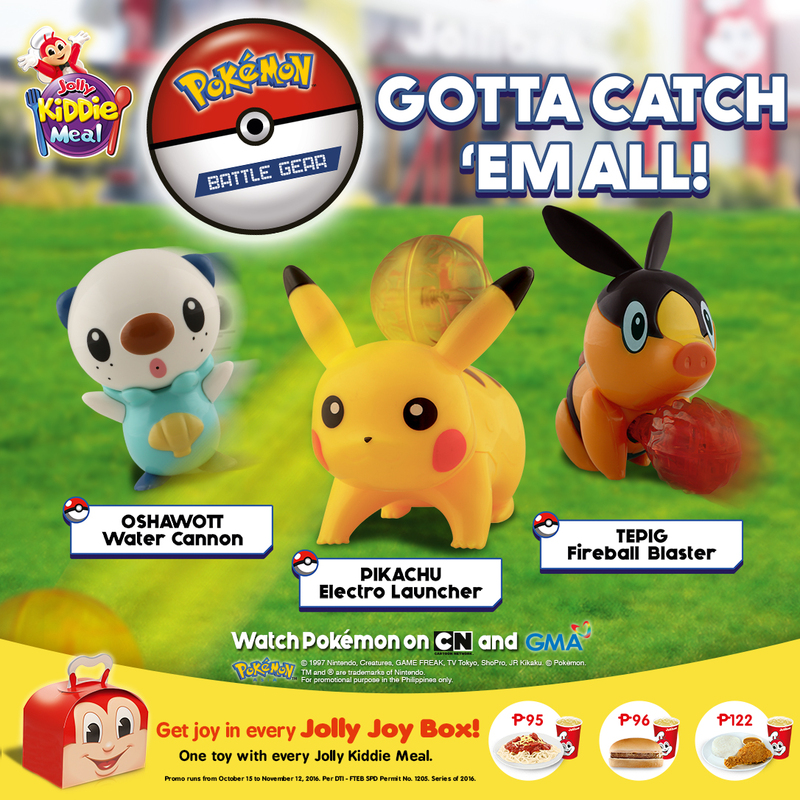 Whether young or young at heart, Jollibee adds another reason for you to enjoy your Pokemon battles with the latest Jolly Kiddie Meal offering – the Pokemon Battle Gear! And to our surprise, a Jolly Box was delivered to our doorstep the other day. My kids were so delighted as they unbox and saw what's inside. Each one of them got their own choice of Pokemons and played with it right away. When Jaear got home from work I could see that he was happy with the Pokemon Battle Gear as he's a Pokemon Go player himself. Pikachu, Tepig and Oshawott, along with their favorite Jollibee meals. Unleash the powers of Pikachu Electro Launcher by attaching the electroball on its tail. Push it down to release Pikachu’s high voltage ball of lightning! You can also catch rare Pokemons Tepig Fireball Blaster and Oshawott Water Cannon. To ignite Tepig, insert the fireball in Tepig’s body and press the tail to fire away. The Oshawott Water Cannon makes a splash in the battle ground with its water squirting feature. Just detach the cap found at its back, pour water inside the body then press the button and squirt with water from Oshawott’s mouth. Catch them all now at a store near you with every purchase of a Jolly Kiddie Meal: Jolly Spaghetti Meal at P95, Yum Burger Meal at P96 or Chickenjoy Meal at P122. Each package comes with its own Jolly Joy Box. 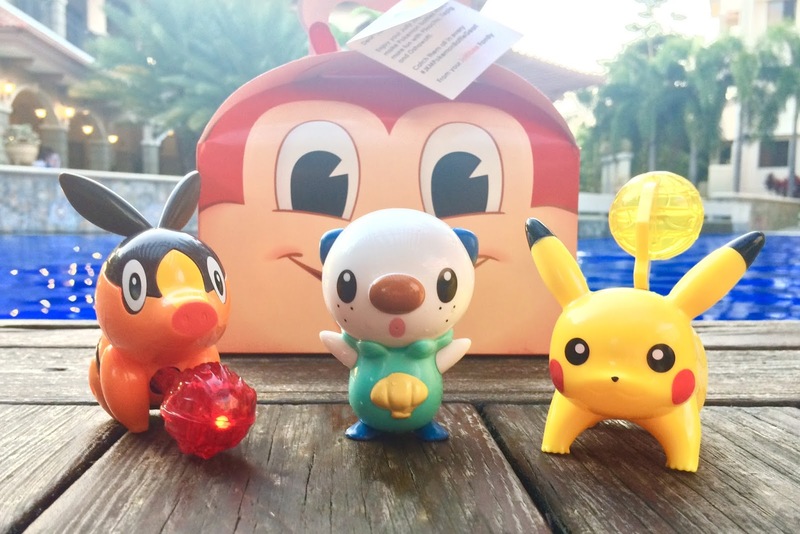 The Pokemon Battle Gear is available in all Jollibee outlets until November 12 only so hurry, gotta catch 'em all!